Sir, your Beer Brief beverage of choice. The President’s Daily Brief (coolly called the PDB) is a top-secret document produced and given each morning at 7:45 a.m. to the President of the United States. It provides the prez with the juiciest international intelligence warranting attention and analysis. We feel our Monday Beer Brief is not unlike the PDB. Some minor differences: ours is once a week; comes at 10:30 a.m.; is very public; deals mostly with beer; and will occasionally rely on Dune and Voltron jokes to make it readable. These are small discrepancies. Both briefs have their merits, but if you’re a brewing pro or beer super enthusiast, this is the intel you need for your Monday morning. AB InBev needs federal approval to buy any more American breweries, but its distributors, not so much. Glens Falls is sort of known as “Hometown U.S.A.,” and the city definitely has a cool, classic Americana look. 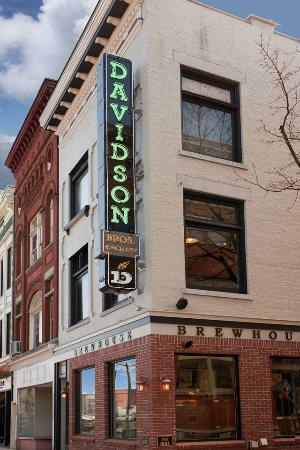 Davidson Brothers Restaurant and Brewery opened in 1996 in an awesome old building at 184 Glen Street in downtown Glens Falls (check it out). Today, that 130-year-old building is still the home of Davidson Brothers (John and Rick Davidson are said brothers), but three years ago those owners expanded, building another brewhouse and company they called Glens Falls Brewing Co. — it was a $3.5 million project on Route 9 in Queensbury, N.Y., where the bros brew a majority of Davidson Brothers beer. Northern Eagle is headquartered in Oneonta, about 80 miles southwest of Albany. The distributor of Budweiser and Michelob beer sells and delivers 800,000 cases a year in Chenango, Otsego and Delaware counties. [George] Allen [president of Northern Eagle] talked in September about his company’s strategy for expanding by starting a hops farm outside Cooperstown and purchasing Cooperstown Brewing Co. in April 2014. Cooperstown Brewing increased production to 10,000 cases a year from 2,000 cases during its first year after being acquired. Allen said he and chairman Lou Hager Jr. have similar plans to expand the brewery. Brothers John and Rick Davidson built it three years ago by converting a former movie theater into a craft brewing plant. Allen plans to install lager tanks in Queensbury to give the brewery capacity to make more styles of craft beer. He also plans to invest $300,000 to purchase canning equipment and will begin making gourmet sodas and cold brew coffee. They might also need help with signage. We’ve experienced the new BrewDog USA operation first hand. CBB was invited to the recently constructed U.S. headquarters for operations and brewing just outside Columbus, Ohio, for its investors meeting. The event, known as AGM (annual general mayhem) was thrown back in September for BrewDog USA’s shareholders, known as Equity Punks, to celebrate their entrance into the U.S. market, their fans who are helping to make this entrance go from dream to reality and the city and people of Columbus. Now, BrewDog USA is looking for a new investment — in people — the company recently announced that is hosting a two-day open house at its Columbus facility on December 5-6 for anyone interested in working for the cool cats at BrewDog USA. Each day will have a different theme as we look to begin filling the dozens of vacancies we have for our American brewery. On Monday 5th we are concentrating on our BrewDog Taproom so are looking for attendees who would love the chance to serve beers and food to our guests when DogTap Columbus is complete, as well as other front of house, kitchen and positions related to retail. Our Director of BrewDog Bars David McDowall will be on hand to meet those keen to join us! On Tuesday 6th we would love to be visited by those with production experience in the brewing industry or those looking to work for BrewDog in the following roles: senior brewers, brewers, lab technicians, lab managers, packaging managers and operators, engineers, warehouse operatives and forklift drivers. Head of Production Tim Hawn will be on hand for the day – our state of the art 200HL brewery needs the very best to staff it – if that’s you, come and see us! To give us an idea of potential numbers, anyone who would like to attend our jobs event should first head to this link to select a session. If you read those paragraphs above and didn’t see a job for you but would love to work for BrewDog USA in another area, then don’t worry! Between 4pm and 7pm on both Monday and Tuesday we are also hosting special open sessions — if you have a skillset in another field we can use, register and simply head on down. The largest ever Alcohol Bureau fine for a trade practice goes to … Boston’s Craft Brewers Guild! Apparently, making great beer isn’t enough. Sometimes, like in Boston, you gotta grease palms too. Paying to have your beer on tap in a bar, shelling out money to ensure space in a refrigerator or even giving extra inventory or equipment to a restaurant or pub to earn favor and discriminate against other beer brands is downright wrong. It’s called pay-to-play, and unfortunately, it’s not that uncommon. In fact, in Boston, it’s just considered good business, or at least it used to be. In February, the Massachusetts Alcoholic Beverages Control Commission was set to hand down a big license suspension and an even bigger fine to a beer distributor that paid Boston bars tens of thousands of dollars to carry its beers and stiff the competition. And what was the name of said wholesaler? The Craft Brewers Guild, which shadily sounds like an association to us, not a distributor. Faced with the possibility of having its federal license suspended or revoked, Craft Brewers Guild voluntarily paid $750,000 to settle the case, the largest sum the U.S. alcohol bureau has ever collected from a single company for trade practice violations. In a brief statement, the parent company of Craft Brewers Guild, the Sheehan Family Cos., confirmed the deal and said it “fully cooperated” with the investigation. Robert Angelo, director of the bureau’s Trade Investigations Division, characterized the large settlement as a warning to beer distributors everywhere and vowed to take a “hard stand” against pay-to-play. It was alleged that the Everett-based Craft Brewers Guild paid various Boston bars more than $120,000 to stock its beers. We guess alleged is being too nice — seems pretty much like fact now. And a Chipotle? Fist pump! “The craft beer scene in LA is taking off and we are excited to be a part of it! We are proud of the role we played in helping establish San Diego’s craft industry and we are honored to participate in LA’s craft beer revolution,” said Matt Johnson, Brewmaster, Karl Strauss Brewing Company. The downtown LA satellite brewery will serve as an R&D facility where brewers are given free rein to experiment with new and exciting small batch beers. The site will feature a seven-barrel brewhouse, two 14-bbl fermenters, and three 14-bbl bright beer tanks with the ability to brew onsite and release more than 35 different beers annually. The location will open its doors to the public on Nov. 21 (hey, that’s today!). This is not Spartan barley, but you get the idea. Science and farming are creating new commodities. 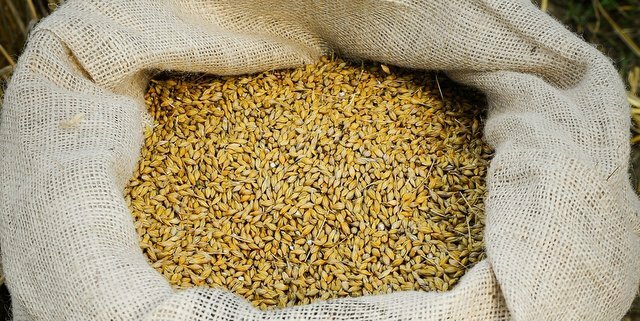 Let’s look at barley: New DNA marker technologies have the ability to rapidly and efficiently monitor the transfer of traits into new barley selections. The per analysis costs of these technologies are generally far less than traditional field or greenhouse testing, but the capital investment required to set up a facility, or to keep up with the changing technology, is high. Congress helps us here by providing funding for the USDA-Agricultural Research Service (ARS), setting up four regional laboratories (Fargo, N.D.; Manhattan, Kan.; Pullman, Wash.; and Raleigh, N.C.) with the equipment and staff to genotype small grains for public breeders across the country. Spartan barley was developed in 1916, four years before Prohibition, by MSU plant breeder F.A. Spragg. Boasting superior quality, better disease resistance and higher yields than its predecessors, the barley quickly made its way into fields throughout the country. Brewers especially looked to Spartan barley as Prohibition began to wane and production of beer with low alcohol content was legalized. By 1933, some 30,000 Michigan farmers were growing it. Eventually, however, newer varieties were developed and Spartan barley had gradually disappeared from the agricultural landscape by the 1950s. But that’s now changed, thanks to MSU AgBioResearch agronomist and plant breeder Russell “Russ” Freed and his team that revived the barley from heirloom seed. We raise a big beer to Michigan, which is not only reviving cool, old barley varieties but also revamping its rich hop heritage (its the biggest grower of hops in America outside of the Pacific Northwest). This new Spartan barely will be first featured in a limited-edition lager from New Holland Brewing Co. called Russ’s Revival — named after the Michigan State University researcher — which is pretty darn cool. Thanks for dropping us a line about it, Doug. Daniel Sunale liked this on Facebook. Anthony Moore liked this on Facebook.